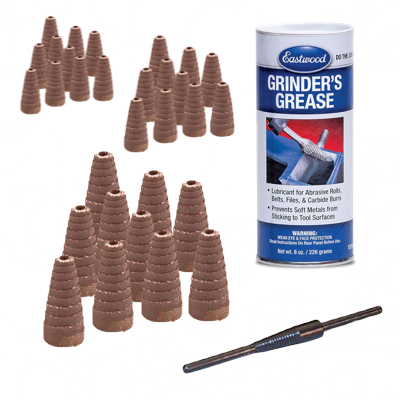 Kit contains 30 rolls, 80, 120 and grit (30 tapers), 6" mandrel and Grinder's Grease. Always wear appropriate face and hand protection when using this product. Excessive side-loading or unbalanced abrasives may cause damage. 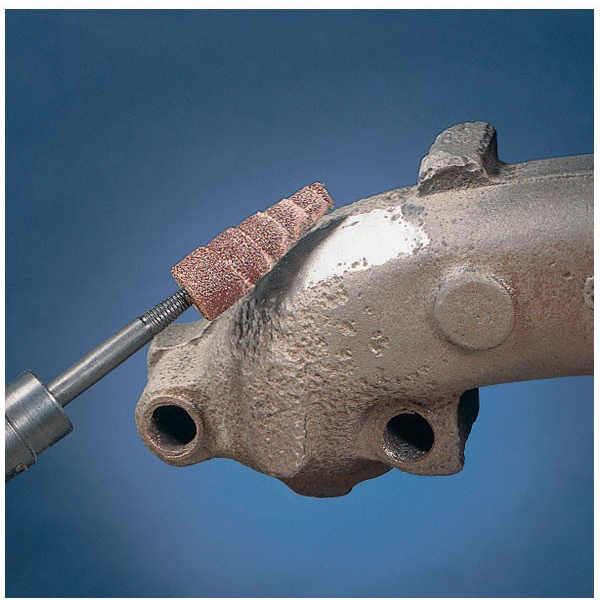 When using with cartridge roll abrasives, allow the abrasive to do the work (do not apply excessive pressure). Replace any cartridge roll that delaminates or becomes imbalanced.